43 conferences have been held in Chicago since May 1994. View this analysis of conference participation, done by students participating in Indiana University visualization MOOC. conferences for another 20 years? 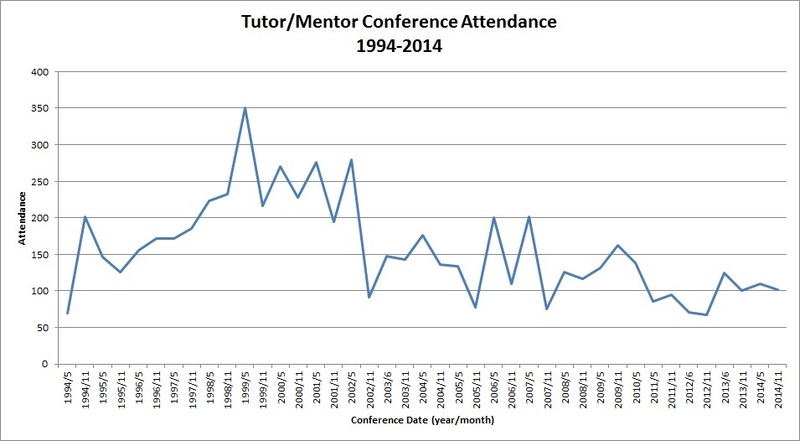 Look at maps showing participation in past Tutor/Mentor Leadership and networking conferences. Zoom in to see organizations in Chicago. Zoom out to see out of state participants. See also, Social Network Analysis Maps of 2008 and 2009 conferences. Uses of maps This map is one of many created since 1994.
volunteer based tutoring and/or mentoring programs are needed. form where more are needed.